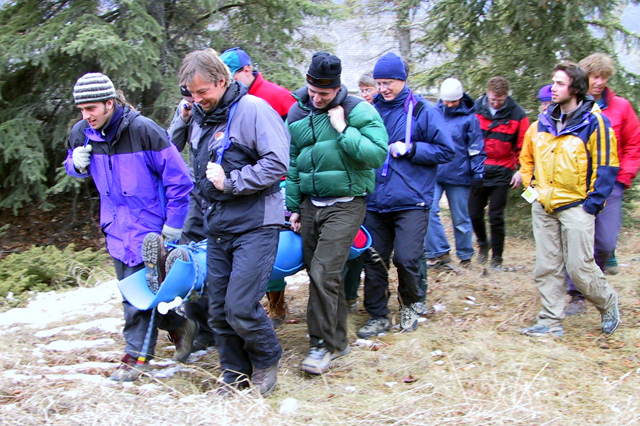 Yamnuska Mountain Adventures hosts our 80 hour wilderness first aid course with Rocky Mountain Adventure Medicine, Canada (RMAM). This 10-day 80 hour course is the industry standard for outdoor professionals and advanced first aid for remote workers. Many organizations require this certification as part of their job qualifications. Topics include: patient assessment system, body systems, environmental injuries/conditions, anaphylaxis, lifting/moving/extrication, patient carries, backcountry medicine, and CPR. Topics are covered in-depth and includes simulations. The WFA course is recommended for outdoor professionals, outdoor recreationalists and employees who are in the backcountry for days or weeks at a time. The premise of this course is that you may have to care for a patient over an extended period and advanced medical support is not immediately available. 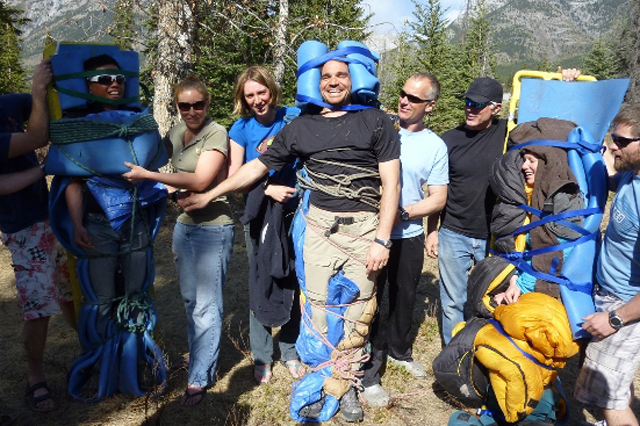 This WFA course is hosted by Yamnuska Mountain Adventures and taught by Rocky Mountain Adventure Medicine. This program is now recognized by Alberta Occupational Health & Safety as an Advanced First Aid certificate. There is a pre-requisite if you require the recognition by Alberta occupational Health and Safety. Please see ‘Certification Options’ on the sidebar. This course is 80 hours, over 9 days with one day free for study (total 10 days). Mornings are devoted to lectures and exams. 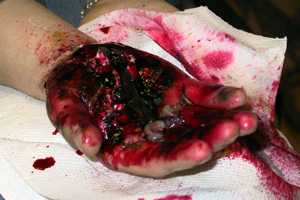 Afternoons are devoted to practical hands-on sessions and first aid or emergency simulations. Evenings are free for study and assignments. You will have reading and quizzes to complete in the evenings. 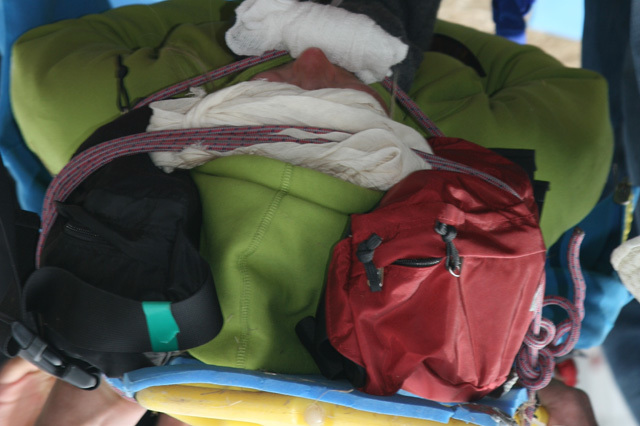 The curriculum covers Advanced First Aid and Wilderness First Aid topics with a focus on remote settings where help is not immediately available. Canmore is a 1 hour drive west from Calgary. Greyhound (1 800 661 8747) services Canmore from points east and west along the Trans-Canada Highway. If visiting the area from far away you may want to a car so you can visit local attractions and enjoy the surrounding mountains. 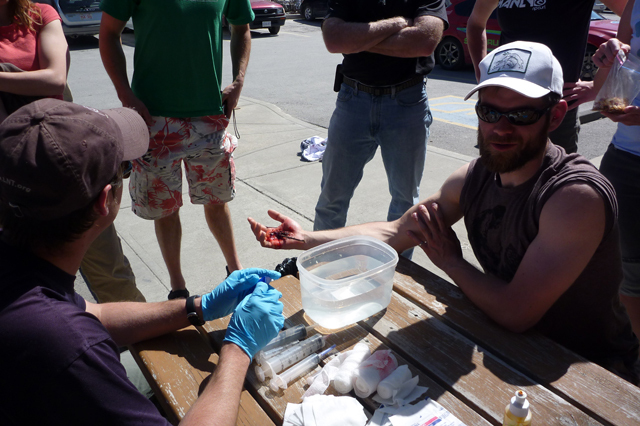 The course is being taught by professional instructors from Rocky Mountain Adventure Medicine (RMAM). They receive intensive vetting and training. Course quality is continually monitored and assessed to ensure it meets the most current standards. Accommodation and meals in Canmore are not included. A variety of accommodation options exist in both Canmore and Banff, including campsites, hostels, all levels of hotels as well as condo style accommodation with kitchens or suites. We recommend that you book your own pre and post-trip accommodations well in advance as all levels of accommodations in the Bow Valley fill quickly. RMAM certification is recognized throughout Canada (including the ACMG and Alberta Occupational Health and Safety) and the United States. Successful students will receive an advanced first aid certification card from RMAM, which is valid for 3 years. You will also receive your CPR level C. Within 3 years, graduates must recertify by way of a three-day course to keep current. Successful completion of this course is based on attendance (100% required), and performance on both written and practical final exams. Not everyone passes this course. Please bring appropriate clothing for the location and time of year. Remember that rain or shine, much of our time is spent outside. You will also need a sleeping pad/mat (for simulations), pens, and a notebook. For the field days we would also like you to bring a pack containing items that you would normally take with you on a day out into the back country e.g. extra clothing, tarp, ski poles, duct tape, fire start kit, ensolite/thermarest, Swiss army knife/Leatherman. Additionally participants are welcome to bring equipment with them that they regularly use in a back country setting to use as part of scenarios, examples would be snowshoes, skis, snowboard, ice axes, avalanche probes etc. The First Aid kit you would normally bring on a trip. Please book as early as practical to avoid disappointment. We require a 35% deposit at the time of booking. The remaining program fees are due eight weeks before the program start date. $835 Cdn includes instruction and course materials. GST is extra. 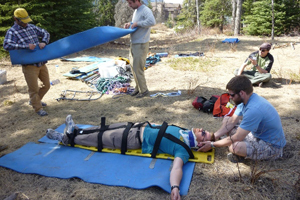 Re-certify your 80 hour Advanced Wilderness First Aid Course (WFR, AAM, etc.) in this 3 day course. 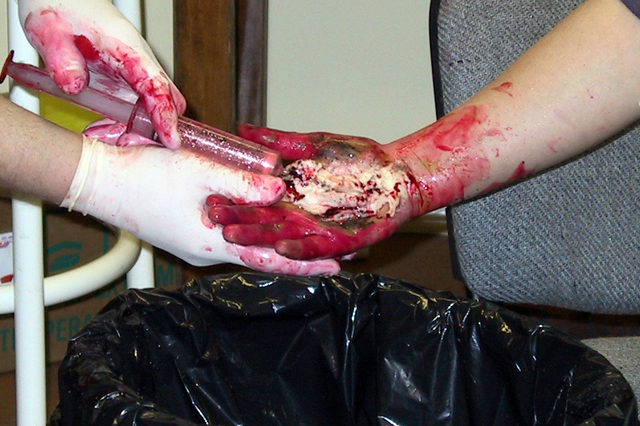 While helpful, no prior first-aid certification is needed for this course. Minimum age is 16 years. 1. Course participants opt for certification that will allow them to work in a back country setting and that is approved by the ACMG or other outdoor companies such as ski hills. This option has no pre-requisites and is standard with the course. 2. Alternatively, for those looking to additionally use the certification for a worksite, the certification can be recognized by Alberta Workplace Health and Safety. This training will then offer mobility between Alberta, BC, Saskatchewan, Manitoba and the Yukon. 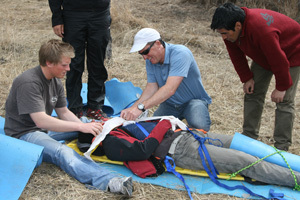 To be eligible for this type of certification participants MUST provide proof of Standard First Aid certification that was taken within the year prior to the start of the Advanced Adventure Medic program. This is the exact same curriculum and exams, however the Standard First Aid pre-requisite must be met for recognition by the Alberta Workplace Health and Safety.